An octopus has keen eyesight, and this one loves to stretch out on the sand and watch the ocean activity. 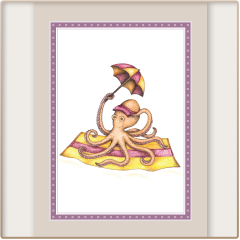 But don't worry about its camouflage because a pack of these octopus notecards will surely stand out. Cowabunga!